The Longest War: The Enduring Conflict Between America and Al-Qaeda. By Peter Bergen. 496 pages. Free Press. $28. As we near the 10th anniversary of the 9/11 attacks, New York Times bestselling author and CNN national-security analyst Peter Bergen looks back to see how America’s “war on terror” has gone so far—and where it’s headed. 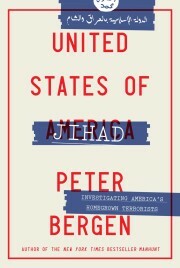 In addition to detailing what’s been happening behind the scenes of the United States’ war against al Qaeda, Bergen, one of a handful of journalists who has interviewed Osama bin Laden, investigates the terrorist group’s inner workings—the internal debates over the wisdom of attacking the U.S. before 9/11 and the criticism of bin Laden following the attacks. Bergen then looks at what President Obama’s policies and al Qaeda’s declining reputation in the Muslim world mean for the future of the conflict. An essential volume for understanding America’s war against al Qaeda in the last decade.